This project is a seasonal kitchen towel featuring a Jacobean floral circle design. A border was made using complimentary fabric. A sewing machine was used to add the border to the towel. 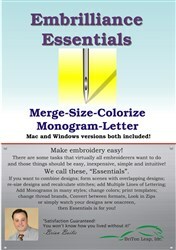 The embroidery design was enlarged slightly to approximately 4.5" x 4.5" using Embrilliance Essentials software. Fabric measurements are based on a towel size of 20" x 28". Measure your towel and add 2" to the length of your fabric. Gather the materials. Read through the instructions before beginning. Iron and starch the towel. Lay the 4”x30” piece of fabric on an ironing board with the wrong side of the fabric facing you. Fold the fabric ½” on the long sides and press. Place the fabric strip at the bottom of the towel leaving a 1” overlap on each side. Pin in place. Fold the overlap in half and press. Fold again and pin in place. Topstitch around the edges of the fabric. Fold the towel in half lengthwise with right sides together. Use the design template to determine placement on the towel. 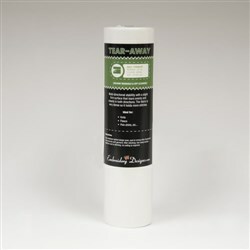 Mark the center point on the towel using an air-erasable fabric pen. Hoop one sheet of light weight tear-away stabilizer. Mark the center point on the stabilizer. Align the center point on the towel with the center point on the stabilizer. Lightly mist the other side of the stabilizer with temporary adhesive spray. Fold the towel onto the stabilizer. Gently press towel in place on the stabilizer. The surface should be smooth and wrinkle free. Load the embroidery design on your machine. Stitch the design. Use the color guide on the machine and printed chart as a guide. Remove the towel from the hoop. Gently tear away the stabilizer. Clip any long threads. Congrats! You have finished your project! Marisa Littleton is a retired educator with a love for teaching and learning. 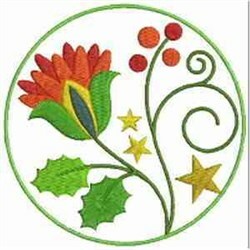 Interests include machine embroidery, hand embroidery, quilting, cooking, and antiques.